Bless the LORD, O my soul, and forget not all His benefits: who forgives all your iniquities, who heals all your diseases…Psalm 103:2,3. Forgives, salach, Strong’s # 5545: To forgive, pardon; spare someone; to relieve someone of the burden of their offense. This verb occurred 50 times in the O.T. in every occurrence God does the forgiving; never does salach represent a man’s forgiving anyone. No small wonder why Jesus’ listeners were shocked when they heard Him say “your sins are forgiven” (Luke 5:20). They responded, “Who can forgive sins but God alone?” (Luke 5:21). These supposedly well-educated scribes knew that forgiveness is God’s prerogative. In Isaiah 55:7, salach is intensified by a helping verb: “He will abundantly pardon.” Jeremiah 33:8 proclaims God’s eagerness to forgive His people. I have been locked out this blog by mistake, sorry for the absence. Can a mortal be more righteous than God? Can a mortal be more righteous than God? Can a man be more pure than his maker? Job 4:17 NKJV. Mortal, enosh, Strong’s # 582: A man, a mortal; man in his frailty, limitation, and imperfection. Anash is a verb, meaning “to be frail, sick, weak and sad.” Enosh is one of the four primary Hebrew words for man. If adam is man as a species, ish is man as an individual citizen, and geber is man at the height of his manly power, then enosh is man as a basically weak creature. In Daniel 7:13, the Aramaic equivalent bar’ enash (Son of Man) is a messianic term. The Lord Jesus repeatedly called Himself “the Son of Man.” He identified with the human race in its weakness, yet rises to a position of everlasting strength. If you Lord, should mark iniquities, O Lord, who could stand? Ps.130:3 NKJV. So iniquity is the “evil bent” within human beings, or the “crooked” direction or warped deeds of sinners. Avon occurs more than 220 times in the O.T. Its first mentioned in Genesis 4:13, where Cain finally understands the enormity of his deed and states, “My punishment (iniquity) is greater than I can bear.” Knowing that iniquity is something too heavy to be borne by fallen humanity, God promised that His Suffering Servant would bear the iniquities of His people. The prophet Hosea in the book named after him describes the characteristic social conditions of his day: corrupt leaders, unstable family life, widespread immorality, class hatred, and poverty. Though people continued a form of worship, idolatry was more and more the accepted norm. The Shepard’s (leaders) were failing to guide the people into ways of righteousness. “Therefore, behold I will allure her, will bring her into the wilderness (not a place of punishment but a place of privacy) and speak comfort (her heart) to her. I will give her vineyards from there, and the Valley of Achor as a door of hope; she shall sing there, as in the days of her youth, as in the day when she came up from the land of Egypt.” Hosea 2:14, 15. NKJV. Hope, tiqvah, Strong’s # 8615: hope; expectation; something yearned for anticipated eagerly; something for which one waits. Its original meaning was “to stretch like a rope.” In Joshua 2:18,21, it is translated “Line” or “cord”; Rahab was instructed to tie a scarlet tiqvah (cord or rope) in her window as her hope of rescue. Yahweh Himself is the hope of the godly (Ps. 71:5). Here God’s blessing on His land will transform the Valley of Achor (“trouble”) into the “Door of Hope.” Achor means “Trouble”, and was the scene of Achan’s sin (Josh. 7:26). God redeems situations, bringing present hope in the place of previous trouble. Two Things Are Never Satisfied. …“So two or three cities wandered to another city to drink water, but they were not satisfied: yet you have not returned to Me, “says the Lord. Amos 4:8 NKJV. The most common usage of sabe’a concerns being filled with food or drink until one is satisfied. According to Proverbs 27:20, two things that are never satisfied are hell and man’s eyes. I am amazed at the super intellectual progressive branch of so called Christianity. One just has to read some of their posts on the internet to come away with a strong check in ones personal spirit. Amazing rebukes to the literal reading of Scriptures like, “The sin of Sodom (Gen.19:4, 5) was not a request for homosexual acts, but inhospitality.” Here in lies the pervasive manifestation of what the Bible calls and labels fools and their folly. Let a man meet a bear robbed of her cubs, rather than a fool in his folly. Proverbs 17:12 NKJV. Fool, nabal, Strong’s # 5036: Nabal (noun) is used widely used in Proverbs, the term nabal frequently translated “fool” and nebala, “folly”; nabal, however, denotes a wicked person, an evil character, “shamelessly immoral,” equivalent to “a son of Belial” Nebala carries the same meaning as nabal, a disregard for moral and spiritual claims. In every way, a nebala is senseless, impious and a disgrace, and his actions are sinful folly. Nebala refers to sins of immorality. A request for homosexual relations was regarded as an act of folly (Genesis 19:4, 5; Judges 19:23, 24). Folly and fool are opposite to wisdom and wise. Being a fool is a way of life enticing to the immature, but can lead to destruction and ruin. In comparing wisdom and folly, wisdom excels folly as light excels darkness (Eccl. 2:1-13). Involved in this conclusion is that wisdom leads a person on the right path to the brightness of the full day while folly entices one to the way that leads into darkness (Pro. 4:18, 19). Apparently he does not concentrate on what is right (Prov. 17:24). Associating with a fool, who has a twisted sense of values deprives one of knowledge (Prov. 14:7). A fool is not someone of diminished intellectual capacity, nor a court jester, but one who makes an intellectual decision to choose moral perversion as a life style. Now what if you don’t want to be the “companion of fools” but you want to try to reason with one? The reality is you can’t reason with a fool, because it’s inevitably going to become an argument. The Bible is very clear about the hostility you should expect from a fool: Proverbs 12:16 A fool’s wrath is known at once. Fools are quick tempered and will often respond with anger. It’s so miserable dealing with a fool Proverbs 17:12 says it’s better to “Meet a bear robbed of her cubs,than a fool in his folly.” A fool will hate what you have to say: Proverbs 23:9 Do not speak in the hearing of a fool, for he will despise the wisdom of your words. And Proverbs 14:9 says “fools mock at sin” describing the scorn you’ll receive if you correct or rebuke a fool. The clear instruction from Scripture is not to waste your time dealing with a fool; it is a futile, frustrating endeavor. You can’t talk any sense into a fool, and not to sound too simple, but this is what makes him a fool: he won’t listen. He won’t learn. He could experience terrible punishment and discipline, but he won’t change: Proverbs 27:22 Though you grind a fool in a mortar with a pestle along with crushed grain, yet his foolishness will not depart from him. If he would listen he wouldn’t be a fool: Proverbs 8:5 O you simple ones, understand prudence, And you fools, be of an understanding heart. The unfortunate reality though is the best solution with a fool is to let him continue in his foolishness. It is so foolish to answer a fool you have to be one to do so. Proverbs 26:5 Answer a fool according to his folly, lest he be wise in his own eyes. You want to respond so he doesn’t continue to think he’s right and remain a fool. You have a verse saying not to answer a fool and a verse saying to answer a fool. It looks like a contradiction unless you consider how well it captures the predicament you’re in with a fool: you can’t answer a fool because of his foolishness, but you feel like you should answer so he doesn’t continue in his foolishness. Despite how much you might want to respond though – Don’t! – unless you want the frustration the Bible clearly warns you’ll experience. Is God singular (Deut. 6:4; 32:39; Isa.45:5; John 17:3; 1 Cor. 8:6) or plural (Gen. 3:22; 18:1-3; Ps.97:7; Isa.48:16; John 10:34-38)? The Hebrew word for God is `elohim Strong’s #430, a plural noun. In Genesis 1:1 it is used in grammatical agreement with a singular verb, bara strong’s#1254, “created.” When the plural pronouns in “Let us make man in our image after our likeness: are used, does it mean an august plural of excellence or majesty? Is God speaking to the angels or to the earth or nature? Or is this a germinal hint of (first mention) a distinction in the divine personality? No one can be certain. Until Jesus came, the internal unity of the Godhead was not understood. God is essentially Spirit (John 4:24). Therefore, man, who is similar to God, possesses an immortal spirit. We resemble God in certain respects without being equal with Him (Isa. 40:25). God the Father has a soul (Matt.12:18), God has a body (John 1:14) in Jesus, and God is Spirit in the Holy Spirit (John 1:33). Man’s likeness to God is what truly distinguishes mankind from the rest of creation. Man is a person with the power to think, feel, and decide. He has the capacity for moral choices and spiritual growth or decline. In the beginning, man loved God and hated unrighteousness. The fall reversed this. Man was still a person with the capacity for good, but his spirit was altered by sin so much that he now generally runs away from God and loves evil more than righteousness (John 3:19,20). Man is no longer in the perfect state of innocence as at the time of creation. Therefore, he does not have the same spiritual, God like attributes and qualities of that original state. Jesus, the last Adam (Rom.5:18, 19), came to undue Satan’s works (1 John 3:8), to restore a spiritual likeness to God. The doctrine of the Trinity means that there is one God who eternally exists as three distinct Persons — the Father, Son, and Holy Spirit. Stated differently, God is one in essence and three in person. 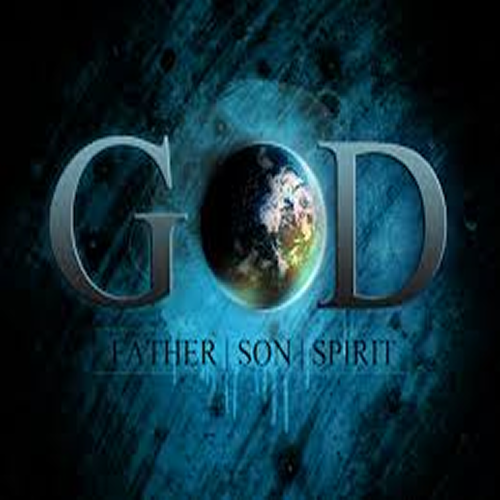 These definitions express three crucial truths: (1) The Father, Son, and Holy Spirit are distinct Persons, (2) each Person is fully God, (3) there is only one God.